A country rich in cultural heritage and a prominent centre for business and commerce, Malaysia attracts an impressive number of tourists and businessmen every year. This small south-east Asian country has a big personality and shares many similarities with India, making it a country that every Indian must visit. This article is a guide to applying for a Malaysia visa for Indians who wish to visit this beautiful country. Although Malaysia visa on arrival is possible,There are numerous advantages when applying for Malaysia visa online rather than getting Malaysia visa at the airport. Saves your money: Malaysia visa on arrival will cost you about USD 100, whereas if you apply for a Malaysia visa online, it will cost you less than half of what you would pay for a Malaysia visa on arrival. No more long waiting periods: Get your Malaysia visa for Indians almost instantaneously by applying online. Ideal for Indians who need a Malaysia visa on short notice, applying for it online is a saving grace. Offering a processing time of only 2-3 days, the online Malaysia visa is perfect for people who need to travel to Malaysia immediately. Hassle-free option: No one likes long queues and long waiting periods. Take our word for it when we say that lines to apply for a Malaysian visa at the airport and the consulate are long. Applying for your Malaysia visa online cuts out all the tiresome work for you and offers the help of reliable agents to do it for you. While applying for your Malaysia visa online, be cautious of conmen lurking on the web! evisamalaysia.in: A genuine and reliable website that has been catering to the needs of global and Indian applicants for a Malaysia visa. You only need to pay 10% initial payment and the balance only after your visa has been approved. They even accept photos from phone so no need to go and get a scan and photo from studio. windowmalaysia.my : This is the official website managed by the Malaysian Government for those wishing to apply for a Malaysian visa for Indians. This website, however, is prone to bugs and crashes quite frequently. What are the different types of Malaysia visas available for Indians ? The table given explains the criteria for each kind of Malaysia visa applicable for Indians along with their fees and duration of stay they offer. 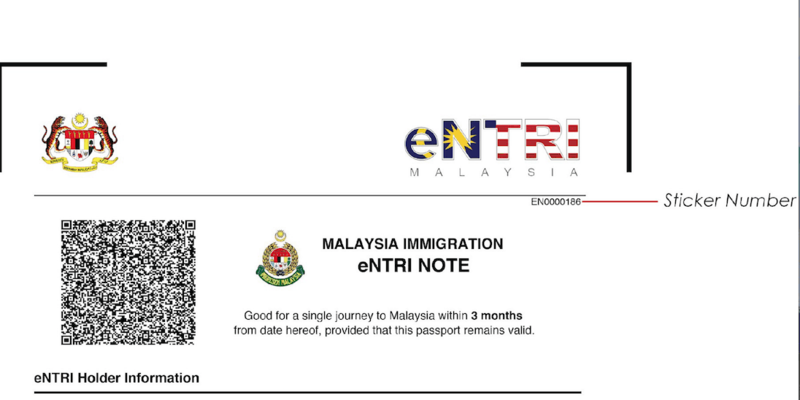 What is meant by Malaysia eNTRI visa? Malaysia eNTRI visa is a registration note and is the easiest among all online visas. If you are in a hurry and you are travelling directly from India and returning back to India itself, and your total duration of travel is 15 days, then we recommend you get this visa. What does a Malaysia 30 days single entry eVISA mean? This type of Malaysia visa for Indians allows you to enter Malaysia only once. 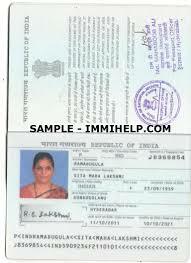 This visa is valid for up to 3 months(90 days) since the date of issue. You can stay in the country for only 30 days. What is meant by Malaysia 30 days multiple entry eVISA? This type of Malaysia visa for Indians allows you to enter Malaysia multiple times within 30 days. You can stay in the country for only 30 days. An extension will not be granted on this type visa. Although, you can enter the country multiple times after you leave. 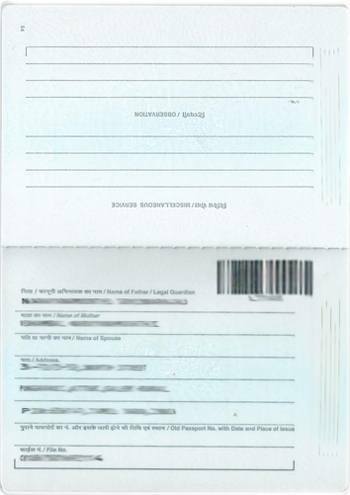 This visa is valid for up to 3 months(90 days) since the date of issue. It is very common that Indian applications for Malaysia visa get rejected because of small mistakes that go unnoticed by the applicant. These mistakes can be easily avoided and in this section, we will explain to you the step-by-step process of applying for a Malaysia visa for Indians through an agent. We will show you the process using the reputed and reliable evisamalaysia.in. Open the evisamalaysia website or fill this Malaysia visa application form . Choose the visa option that suits you best. If you are not sure which Malaysia visa is right for your requirements, fret not! Their agent will get in touch with you and suggest you the right visa for your needs. One of their agents will get in touch with you once you fill in the application form to explain the process to you. You are not expected to make any payments until you receive a mail confirming your application from them. Only after you receive this mail, you have to make a small payment of only 10% of the visa fee, contrary to other websites and agents. Follow the status of your application by staying in touch with their agent. You can follow the progress of your Malaysia visa through SMS updates you receive on your phone. You will be notified through a confirmation mail once your Malaysia visa is verified and receives a stamp of approval. 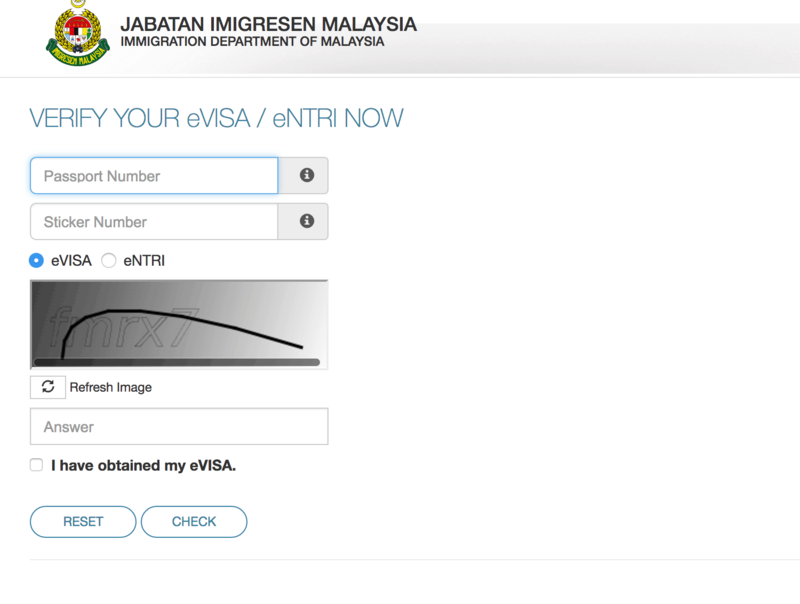 How to apply for online Malaysian visa for Indians through windowmalaysia.my ? When you apply for a Malaysia visa through the government portal, you are permitted only a single eNTRI visa per account. In case you need more eNTRI visas, you will have to create that number of account for every Malaysia visa application. A recent passport size photo of yourself which fulfils the requirements shown in the image below. When you book for your Malaysia visa for Indians through evisamalaysia.in, their agent will make modifications according to the online application requirements. Make sure you have confirmed return tickets to India. A documentation of proof that you have a place to stay during your stay in Malaysia. You can make these bookings through the agent. 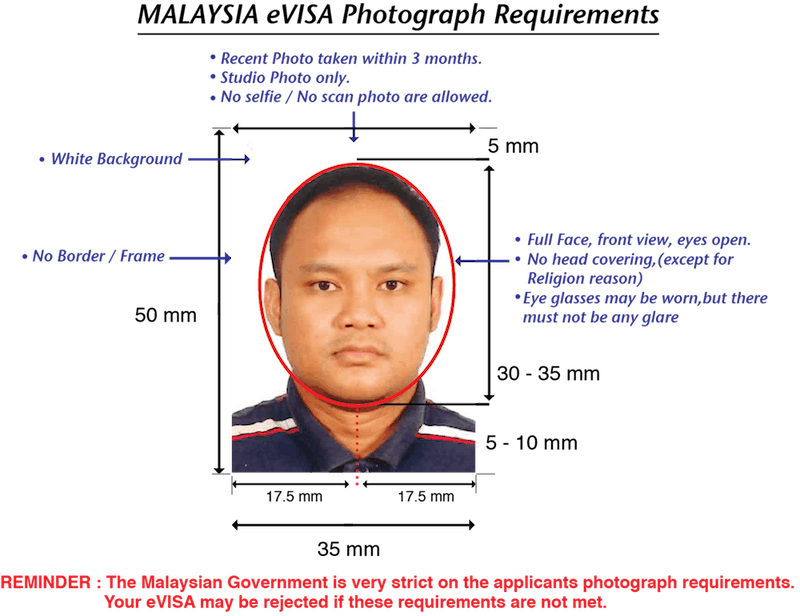 New guidelines have been introduced that have made Malaysian authorities very strict about the photos provided while applying for a Malaysia. Evisamalaysia.in they will modify your picture to the specifications needed while applying for a Malaysia visa for Indians. If you choose to apply for your Malaysia visa by yourself take extra care to ensure that the specifications are met. If the specifications are not met while applying for the Malaysia visa online, there is a strong chance that your application may be rejected. You may even be called for a visa interview at any of the Malaysian embassies in India. You can check the status of your Malaysian visa for Indians online without any hassle on the official Malaysian visa page. Enter your sticker number in the second field. The sticker number can be found on the header of your online visa. Make sure you enter all your particulars correctly. If you do so, you will be able to see a message on the website and will be able to track your Malaysian visa application. 1. I am an Indian travelling to Malaysia. Can I apply for Malaysia visa when I arrive in Malaysia? Malaysia visa for on arrival is issued only in specific circumstances, such as if the individual is visiting from Singapore and Thailand and if the individual holds a valid visa for the respective countries and have confirmed returning tickets to India. 2. I am an Indian citizen. How do I go about applying for a Malaysia visa? Indians can apply for a Malaysia visa in three ways. You can apply by eNTRI, eVisa or obtain a visa upon arrival. The most efficient and easy mode of applying for Malaysia visa for Indians is by eNTRI or Electronic Travel Registration and Information. This is a special provision made by the Malaysian government for Indian citizens under the Visa Waiver Programme. An eNTRI will be valid for 3 months (90 days) from the date of issue. However, you can stay for only up to 15 days. For a Malaysia visa for Indians that allows a longer stay, applications for eVisa offers stays for up to 30 days. This type of Malaysia visa for Indians is valid for 3 months(90 days) from date of issue. Both these Malaysia visas for Indians don’t allow an extension in the period of stay. Malaysia visa on arrival is issued only in specific circumstances, such as if the individual is visiting from Singapore and Thailand and if the individual holds a valid visa for the respective countries and have confirmed returning tickets to India. 3. How much does a Malaysia visa for Indians cost? The cost of a Malaysian visa for Indians varies depending upon the type of visa you apply for. Through a trusted agent we have found, Malaysia 30 days single entry e visa – Rs. 4000 (inclusive of GST), Malaysia 30 days multiple entry e visas – Rs. 4500 (inclusive of GST) and Malaysia eNTRI visa – Rs. 2800 (inclusive of GST). 4. What are the types of Malaysia visas available for Indians? Single entry visa: This is issued to those who require a visa to enter Malaysia mainly for a social visit. Multiple entry visa: This is issued to tourists who require a visa to enter Malaysia mainly for official matters. Transit visa: This is issued to foreign nationals who require a visa to enter Malaysia on transit to other countries. 5. 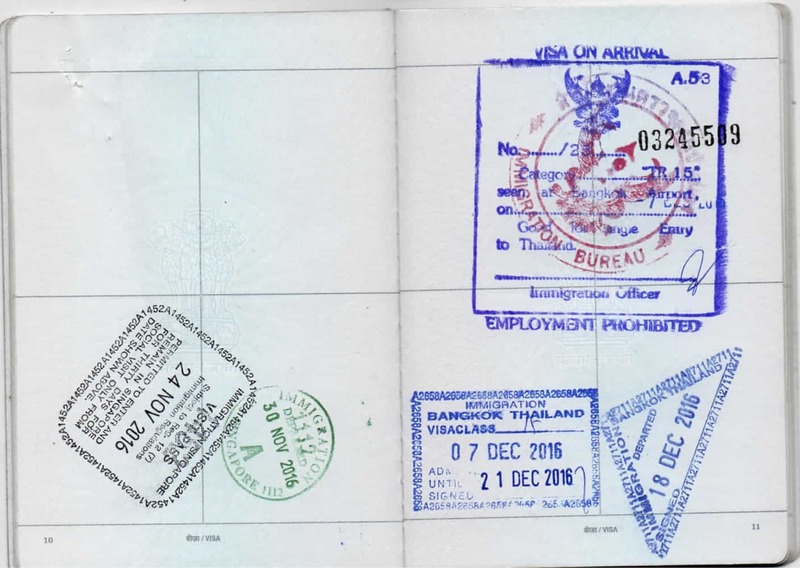 Does your Malaysia visa guarantee your entry into Malaysia? Your Malaysia visa in no way guarantees your entry into Malaysia. The authority to make the final call resides solely in the hands of the Immigration Office at the entry post. 6. How long before I can visit Malaysia again after using an eNTRI Malaysia visa for Indians? After your eNTRI expires, you will have to wait for 3 months before applying again. 7. Can Indians travel to Malaysia without a Malaysia visa? No, this is impossible. All Indian citizens need to have a valid Malaysia visa for Indians to be permitted to travel to Malaysia. 8. I am a student who wishes to go to Malaysia to study. What is the student pass? How can I apply for it? Malaysian institutes take the responsibility of issuing the student pass, on the students’ behalf. So all you need to do is make sure you get a visa approval letter (VAL) from the institute. The student pass is issued by Malaysia’s immigration department. 9. As a student who has obtained a Malaysia visa under the Student Pass category is it necessary to provide a VDR approval letter? Yes. It is important that you submit the VDR approval letter along with other documents.